quick to prepare hotel style coconut chutney recipe that goes extremely well with idli, dosa, uttapam and medu vada. 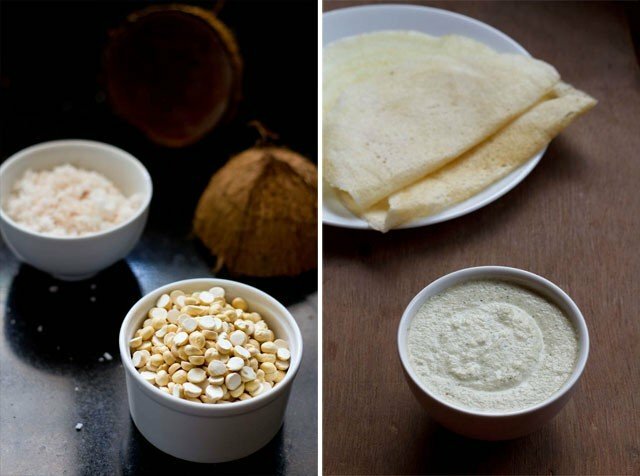 hotel style coconut chutney recipe for dosa with step by step photos – this is my quick hotel style coconut chutney recipe that goes extremely well with idli, dosa, uttapam and medu vada. this chutney also goes well with upma. 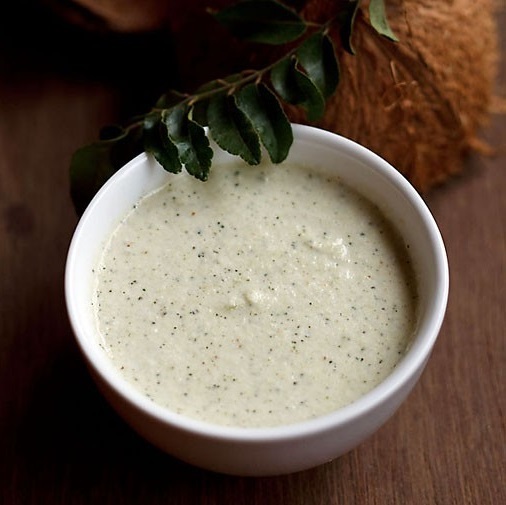 i shall be posting some more coconut chutney recipes with different variations. e.g. 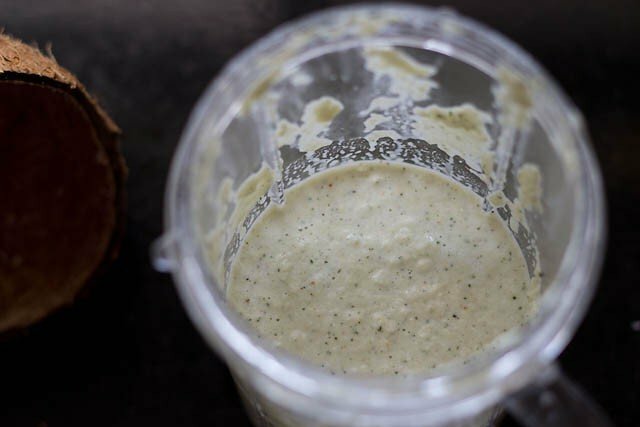 in this coconut chutney recipe tempering method is used. coconut is one ingredient that is always there in my kitchen, be it fresh coconut or dessicated coconut. what contributes majorly to the earthy taste of this hotel style coconut chutney is roasted bengal gram or chana dal. here there is no tempering but there is some before work which does not take much time. 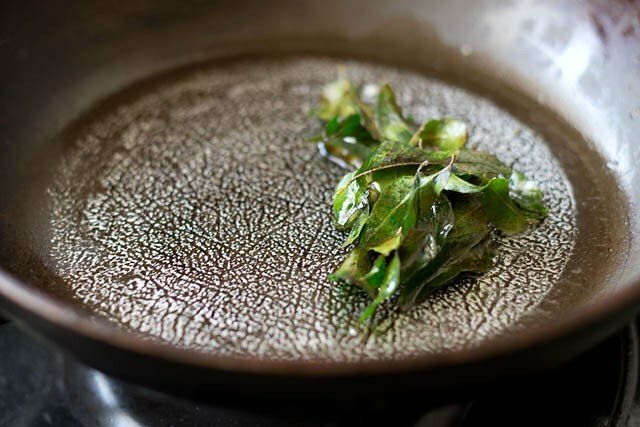 that is of frying the curry leaves.… and they get fried quickly releasing their aromatic flavors in the oil. 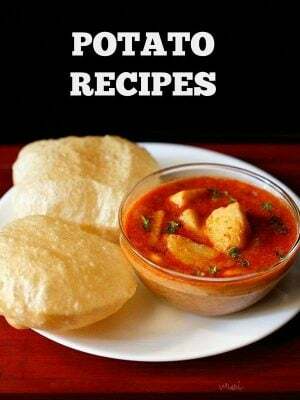 thats what you need to do and then grind everything….. and lo the chutney is ready to be served with dosa or idli or vadas. 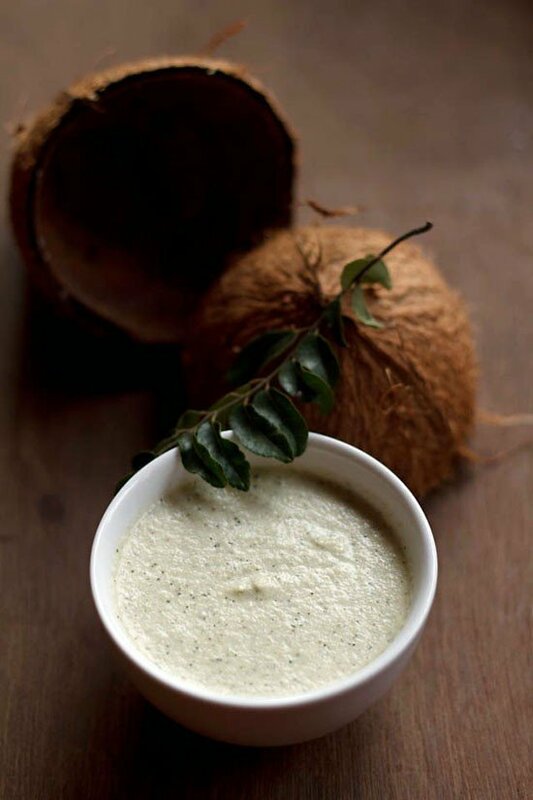 the coconut chutney can be made with frozen or fresh coconut. to avoid grating coconut in the last minute, i usually grate the whole coconut and then freeze it. when i want, i just take some of the frozen coconut and my job is easy whether it is making chutneys, sambar or vegetable stir fries. wash and rinse the curry leaves. dry them on a kitchen towel. heat oil in a small pan. add the curry leaves and fry till they become crisp. let the curry leaves-oil mixture become warm. 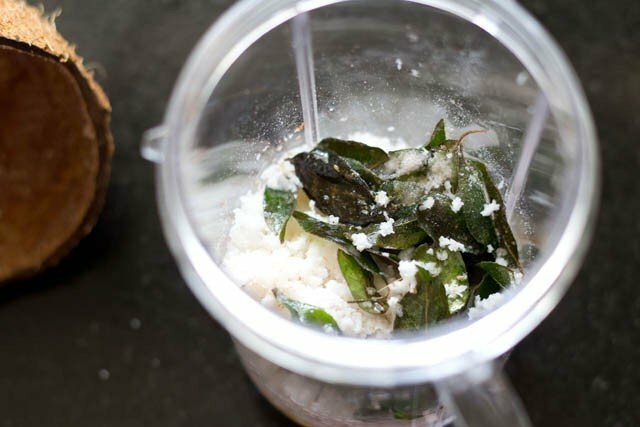 add the rest of the ingredients along with the curry leaves and oil in a chutney grinder or small blender. add some water, about 1/2 to 3/4 cup (depends on what consistency of chutney you want) and blend to a smooth chutney. 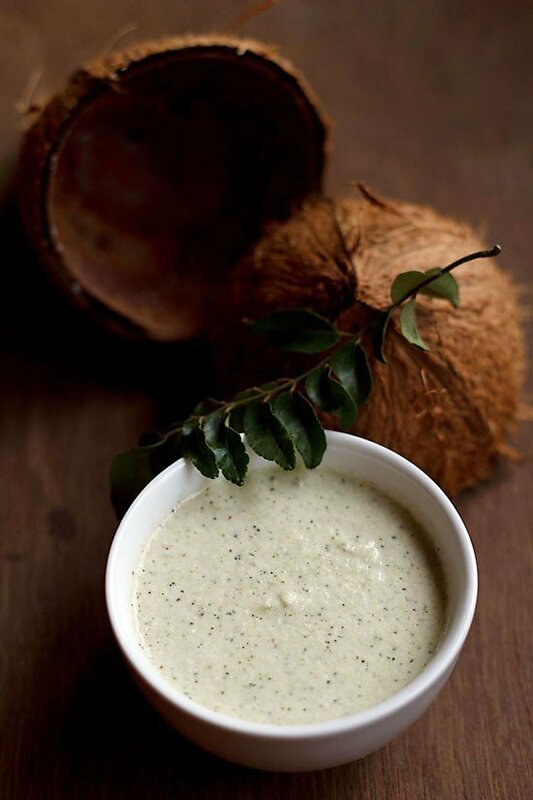 serve the hotel style coconut chutney with idli, dosa, medu vada or uttapam. 1: first heat 2 tsp oil (sunflower or coconut oil). then add 15-20 curry leaves. fry them till they become crisp and this takes just about 1 or 2 minutes. 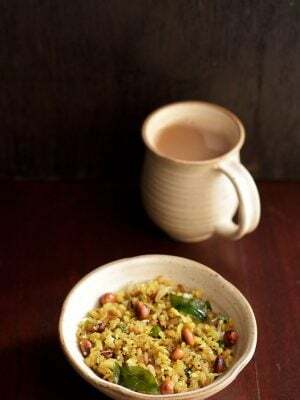 2: put all the ingredients (½ cup grated fresh or frozen coconut, ¼ cup roasted chana dal, ½ inch chopped ginger, 1 chopped green chili and salt as required) along with the curry leaves and the oil in a chutney grinder or small blender. i always use my magic bullet for making chutneys. 3: add some water and grind to a smooth chutney. Thanks Dassana, I made this on Pongal with two minor variations (increased the quantity of roasted Chana dal to 0.75 and added a light tempering of mustard seeds and Urad dal) and my husband loved it. This was my first attempt at making coconut chutney and I look forward to trying the other chutney recipes. Thanks so much, your blog has always been my go-to for diverse, tasty recipes. Welcome Z. Nice to know the variation you did to make coconut chutney. Thanks for your kind words. We tried this one today and it was very delicious. As compared to eating coconut giri as it is, I found chutney more digestive and lighter. Probably because of ginger, curry leaves etc. 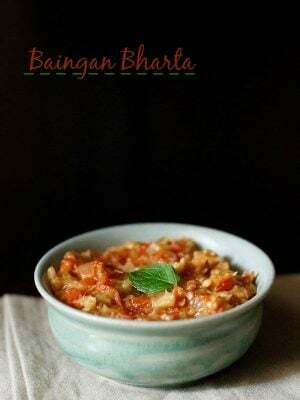 It is a quick-to-make yet yummy accompaniment to perk up an otherwise simple meal. thanks ruchi. ginger, curry leaves do help in digestion. i always find coconut chutneys lighter as compared to veggie based chutneys – the only few exceptions being onion chutney, coriander/mint chutney and tomato chutney. agree, even a simple meal gets perked up with a coconut chutney or for that matter any delicious chutney. Yummy!! I tried this recipe of ur it turned out good ND tasty… Thnx for ur guidance it taste totally as hotel chutney… But my chutney turned lil green in color?? What might be the reason.. Welcome Fazila. It could be because of green chillies or curry leaves. 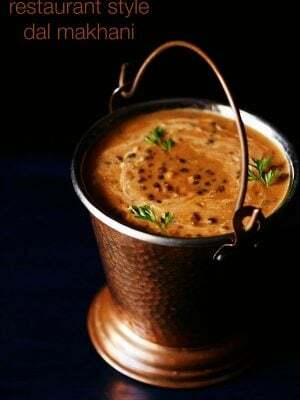 I have natural Chana dal (like I use for dosa) – how can I roast it at home ? noam, you can saute the natural chana dal in a bit of oil, till it becomes golden and then add to the coconut and then grind. roasted chana dal is commercially made and it is roasted on hot sand. so kind of difficult to make roasted chana dal at home. The prob is that I don’t have many Indian product where I leave so I have only natural chana dal. In that case should I use the steps u mentioned above ? okay. using this recipe, you can do this way. first heat 2 to 3 teaspoon oil in a small frying pan. 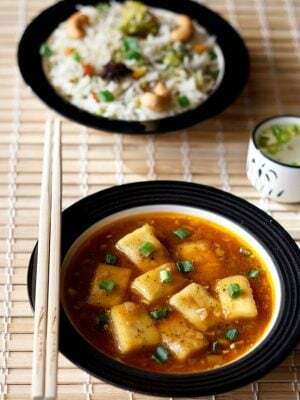 once the oil becomes hot (medium hot), lower the flame and add 2 tablespoons natural chana dal. stirring often, roast them in oil, till they begin to turn golden and aromatic. keep stirring them for even cooking. once they become golden, then add curry leaves. stir well and switch off the flame. keep the pan down. let this mixture become warm. then add it with the other ingredients in a grinder jar. add some water and grind till smooth. if you do not have curry leaves, then skip it. Just wanted to know can we use desiccated coconut instead of fresh coconut?? Also we use sattu(grinded roasted Chana dal) frequently at home..can we use it here? you can use desiccated coconut. just use lukewarm water while grinding if using desiccated coconut. 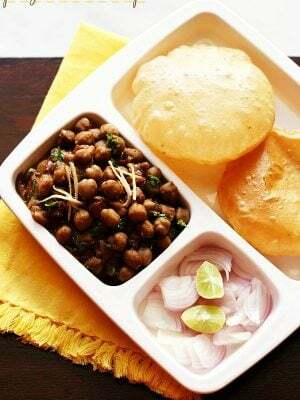 yes you can add roasted chana dal. Although posting in another post. Wanted to thank you for eggless pressure cooker cake. It was simply simply great…. Thanks Megha. Glad to know that you liked the cake recipe. there is no Bengal gram mentioned in the preparation category? i have mentioned adding roasted chana dal in step 2 of the step by step pics. roasted chana dal is roasted and husked bengal gram. 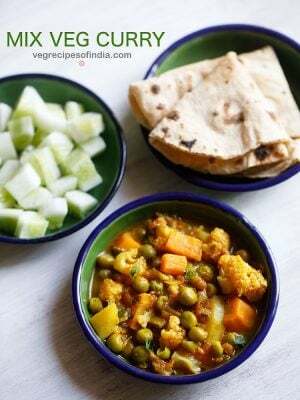 in the recipe card, i have mentioned add all ingredients – which means that chana dal is also added along with coconut, ginger, green chili etc. I spent more than 10 years in India, mostly in Tamilnad, and learned to LOVE Indian food!!! And I really appreciate your recipes!! One question – is there any suitable substitute for curry leaves? I know they have a distinct flavor, and there is no substitute, but they are not available in stores here. What to do ?? thank you edward. there is no substitute for curry leaves. what i used to do when i would not get curry leaves, is that i would buy them whenever available in huge stock. then rinse, wipe and sun dry them and store in an air tight box. then i would use these sun dried curry leaves. another option is to use curry leaves powder. heat some oil. saute the curry leaves till crisp. once cooled grind them to a fine powder. bottle it and store in a dry place. or you can even sun dry and then powder it. the last option is to get some curry leaves seeds. plant them in a pot and they grow very well. you can keep them in semi shade too. It’s always a pleasure to read your recipes,always explained beautifully.Thank you so much. welcome dharitri and thank you for your positive views. welcome sweta and thankyou so much.